Our Little Remy | February 23rd, 2011, after a routine appointment at Downtown Women OBGYN in Soho, my wife, Mary, was instructed to go directly to the emergency room at NYU Tisch. She was having extreme back pain, chest pain, and shortness of breath. For precautionary measures they wanted to do additional testing to ensure it wasn’t complications with her pregnancy. 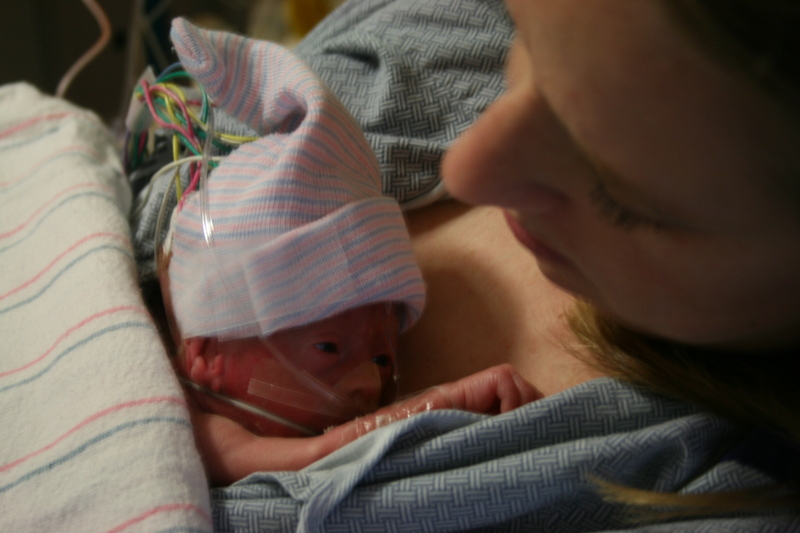 Several hours later, while working in Sandusky, Ohio, I was on a frantic phone call with Mary, as she explained to me that due to severe complications in her pregnancy (caused from HELLP Syndrome), that our unborn child of only 28 weeks, would have to be taken out of the womb via emergency c-section. At that moment, both Mary and our unborn daughter had a high risk of fatality. It was the one of the scariest moments in my life! 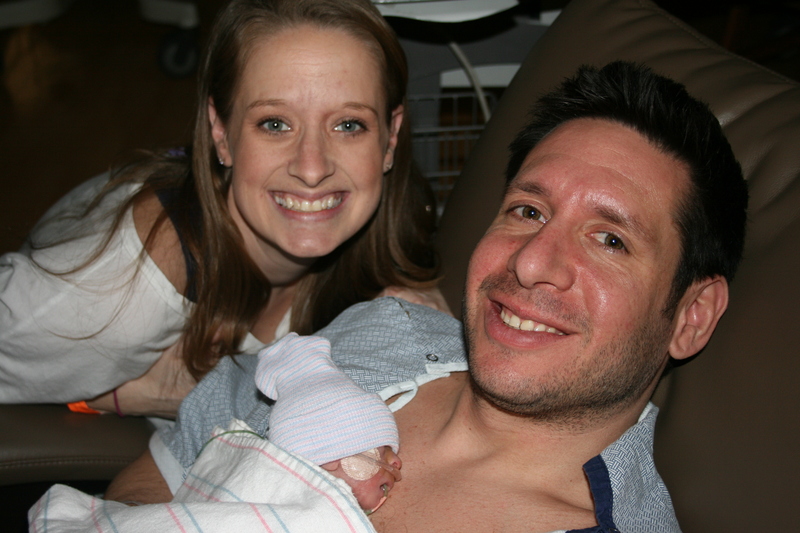 Remy was born via cesarean at 7:23 PM. I heard the news while sitting on a plane at Cleveland-Hopkins International Airport. I felt joy, sorrow, and helplessness. I cannot begin to describe the flood of other emotions that I was filled with during my flight home. To top it off, I eventually had to de-plane for a later flight. 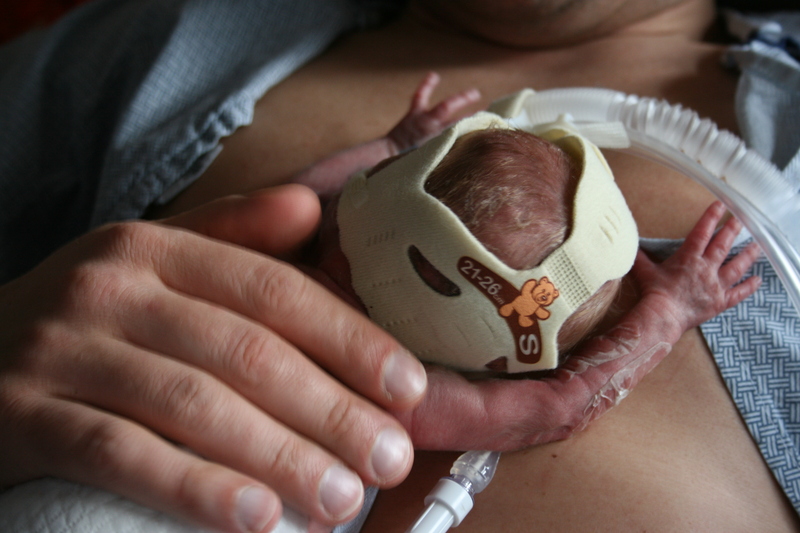 Through the eyes of a first time Father, the story of the 2 lb love of my life begins. I’ve attempted to post so many times since posting Remy’s eulogy on June 5th and my fingers just stopped working, my brain just went to mush and tears rolled down my eyes. It may sound contradictory to the message I set out to send. A message Remy embedded into so many, but it was a piece of me that seized to work and maybe it is just because I feel the urge to honor her on this special day that am able to do it today. I’d be lying if I told anyone that Mary and I will find much joy in today. In fact so much of our feelings through this holiday season are pure anger, sadness and angst in the most severe forms. We are human. How else can I put it? But we will try our hardest to find joy. We have our amazing parents, our brothers and sisters and our new baby nieces, Madison and Mackenzie, SuperTy , and all of you to be grateful for. And…..for as much as we miss Remy, for as much pain as both Mary and I feel, there are moments we can close ours eyes in complete quiet and while tears are inevitable every time, we can’t match the feeling that she gave me us in life. We miss it in a way I wont attempt to describe, but I promised my daughter I would never let that feeling go to waste. What joy we do find in today will be largely due to the fact that Mary, myself and our families remember each and every day how kind people truly are. So many of you that we know so well, that we have met along the way, and some of you who we will never have the pleasure of meeting, have showed us great examples of humanity. Our parents, siblings, friends, families and medical staff literally held us from falling and crumbling so many times throughout this year. All of you have been hero’s to us in so many ways. You have given us and continue to give us strength we know we would not possess without you. We have heard from many of you how you were inspired by Remy’s journey and all that surrounded it. We too are inspired by the humanity of so many of you. Please ‘Remember Remy’. Remember her strength, her fight, her beauty, her story. Remember by giving an extra hug to your child, or an extra tickle with your niece or nephew or loved one when things may be stressful, when the turkey is burned today or your upset about your football team losing or whatever it may be remember the big stuff. Remember by celebrating life when you find it difficult to appreciate life. Remember in your own way but most of all please continue beyond the holidays. I leave you with something that inspired us after Remy passed. An email from a close friend Phil. 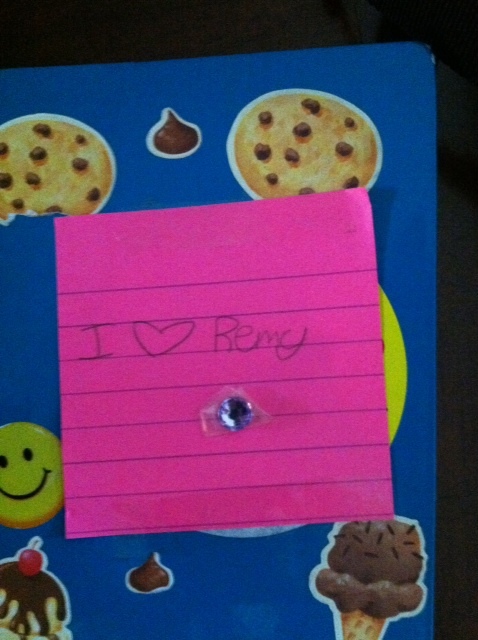 His daughter put a post it on her folder at school. He sent it along with this simple message and it made us smile and I think of it often. I know that many of you who wanted to be there for Remy’s Memorial Service and could not. We are very grateful and touched by the outpouring of support we have been receiving everyday from so many people. Remy’s ‘purpose’ will always remain important to us. I have posted my Eulogy below and hope that in reading it you will gain something in your own personal lives in someway. I never expected to be standing here in a church in front of so many people speaking about the passing of my daughter. Just the same Mary and I never expected to be standing atop our little girl laid in a tiny coffin, in the perfect little outfit that Mary and I always wanted to see her in…………the night before we are to bury her. Kissing her one last time, and saying goodbye. As Remy grew sicker than ever before, about a week before she passed…….. both Mary and I realized that her chances of staying with us were getting slim. 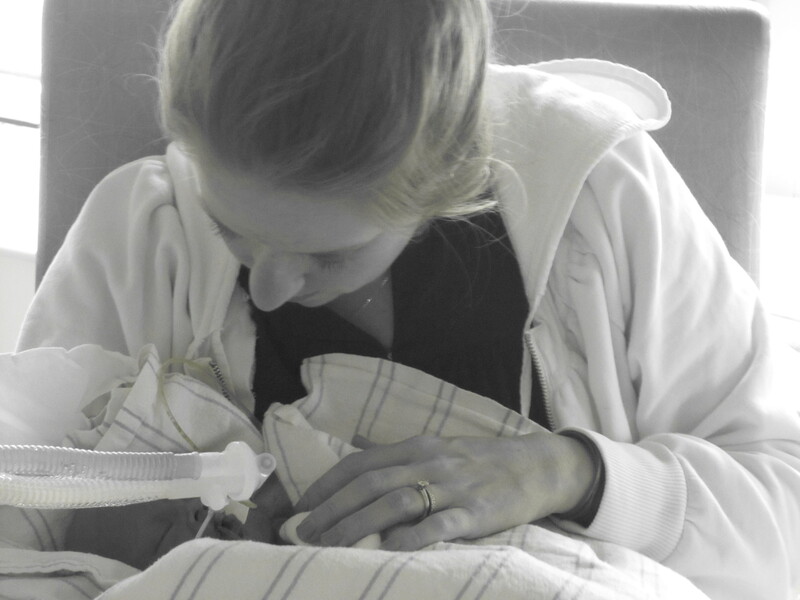 In our own way we either prayed or hoped for a miracle, and spent every second working with the medical staff, who became more like family, trying to find a way to save Remy’s life. Remy had been sick before….. In fact, she had been so sick —-that we were often called into to meetings to discuss the realities that she might not recover, or might have severe permanent damage that she would never recover from. We talked about things like DNR’s and had to learn about drugs and treatments that we never wished we had to. It was a crash course that we didn’t want. Should we raise her Dopamine? Is she getting enough Phenobarb? Should she get another bollist of Lasix, or Bumex or Hydrocortisol? Will her maps ever go up, so we can get her off the Eppy Drip? No matter what drug it was, while it helped her in one way, it was always killing her in another way. Unfortunately as advanced as medicine has come it still wasn’t enough! But like I said, she had been here before and she made astounding recoveries. 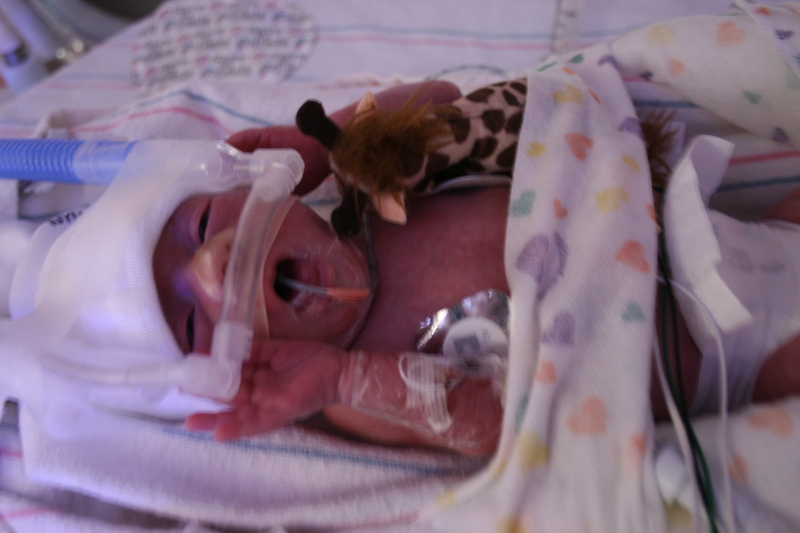 Nurses, doctors and just about everyone in the NICU were taken back by the great strength Our Little Sunshine showed us! It wasn’t just to comfort us. It wasn’t a line they used with us. We know that there was a level of comfort needed when we were approached about the subject of Remy’s health, but there was also a very clear level of bluntness and honesty that was necessary. 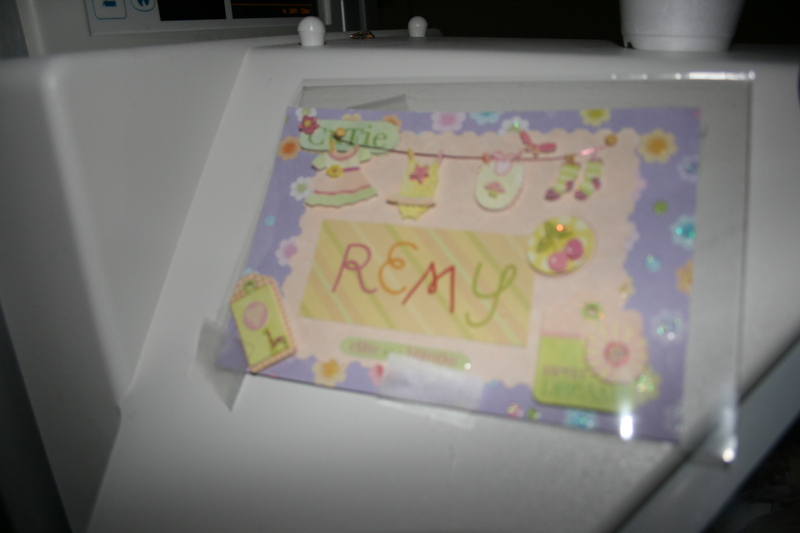 In the end- Remy’s organs were not well enough for her to carry on. Despite all of her problems and conditions her heart and her brain were so strong and so powerful. She responded to us everyday. Even in her weakest moments. Mary would constantly ‘eat her face’, which in other words meant kissing her over and over and over any chance she could get. Remy responded all the time. She would kiss back and stick out her little tongue and wiggle her lips. There was nothing more I needed in Life. I have never felt anything so powerful as what I felt when I watched that. When we placed our finger on her toes she would curl them so tight we could actually feel a grip. 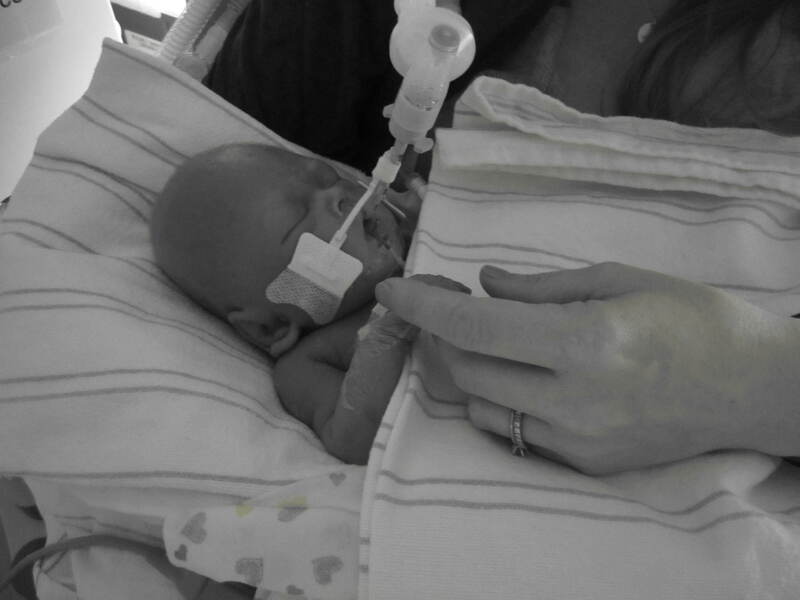 When we placed our finger in her palm she had a grip stronger than some adults I know. I’m not kidding! The thing about Remy is that she wanted to Live. She wanted SO VERY MUCH, SO VERY MUCH to live. …..found a way to express her strong will, her love, and fought even to her very last breath. These are the things that Remy was made of. It’s easy……………………………… ‘to take for granted’ and to ‘Forget’ the things in life that are so important. —a satellite dish going out, a car breaking down, getting stuck on the subway, or being late for something are really so important or stressful, when in reality they are not. I’m not saying that the little things cannot be frustrating. It’s not my place to stand here and judge anyone’s situation, or what he or she may go through on a day-to-day basis and what may tip the iceberg on any given day. has touched Mary and I in a way that even with great expectation and preparation we did not know would be such a great privilege. Not only did she affect us, our immediate family, and closest friends, but so many others. Yes…her story was out there for many to see. But so many people were not affected because I wrote about her; it was because she GAVE me something to write about. 100 days ago to this day Remy was born. 95 of those days we were blessed with her presence. The change that took place during our time with Remy has made us greater human beings and lesser human beings through one shared experience. We have a permanent whole in our souls that will never be replaced. We have grown closer together as husband and Wife than I could have ever imagined. We learned what real love really is. We learned the true meaning of life. and ALWAYS WILL BE the role model, the definition of what a Mother should be. You wouldn’t measure her against a pedestal, because she is the pedestal. Through so much pain we been touched by the gift of human compassion over and over and over and we feel it right now more than ever. We have always experienced that compassion and love from so many. But Remy was and STILL IS a magnet to the mere notion of compassion. And what we have witnessed and experienced in the form of pure humanity; simply because of Remy’s existence is astonishing! I almost lost my Wife. I did lose my child. We will never have the answers we want. The answers we get will never fill the gap that we will have for the rest of our time on this earth. If I was given a millionth of a second to take the chance to trade places with Remy I wouldn’t be standing here reading this eulogy. Instead both Mary and I must live with this void until our time comes. Right now we are in immense pain. We go to sleep and wake up wanting to die. We can seem okay one moment and break down the next. We have anger, towards God, we feel cheated and robbed. The emptiness we feel cannot be justified in this eulogy. THAT ……………………………………………..Is an impossible feat. That is the best way I can express our feelings. Mary and I have also died in this experience and that is inevitable, but unlike the fact that we did not have a choice whether Remy lived or not, it is up to us how much of us in our own selves’ die. With great loss, can also come great gain, If we choose to accept it, to nourish it, to learn from it, and to grow from it. I don’t know what tomorrow will bring. I don’t know how we are going to get through this except that we WILL. And we will get through it TOGETHER. We could have had a small ceremony. It would have been easier. Everyone would have understood. We could have pushed away our friends and family all week who took such great care of us each and everyday. But we love all of you dearly, and if Remy were here to grow older with us she we would have shared her with all of you as much as we possibly could anyway. That’s the only way we know how to live. Remy means way too much to us. 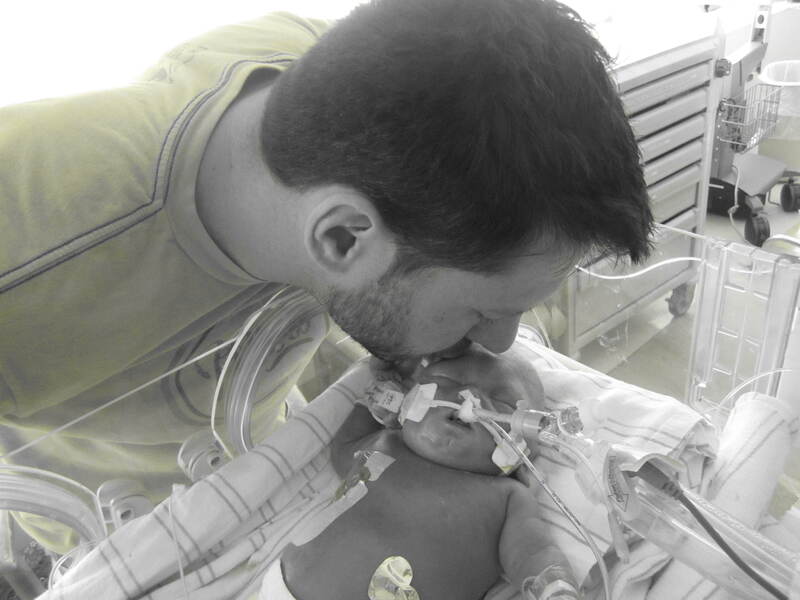 While we will not be so lucky to celebrate great moments on our baby’s life and enjoy the little nuances and things that a Father and Mother do with their children, Remy was and still is too important to us to forget. Remy’s PURPOSE that Mary and I want to continue. Please, if you do anything when you leave this Memorial Service, do one thing. Remember to cherish what and who have in your life. Remember to realize what is and what isn’t important. Remember to care, to love and to try. Remember to fight when you feel it is worthy. Remember REMY……………… because if you remember Remy you will remember what is important in your own life and by doing that you will make the world a better place! A Memorial Service in honor of Remy Elena Zappulla will take place on Friday, June 3, 2011, at 9:30 am. The service will be held at the Oratory Church of Saint Boniface in Downtown Brooklyn at 190 Duffield Street, Brooklyn, NY 11201. Following the service all are welcome to follow to Maple Grove Cemetery, Kew Gardens, where Remy will be laid to rest. Nearby parking accommodations and directions to the cemetery are listed below. If you would like to donate in Remy’s honor please make a donation at the below link for the March of Dimes. You will also a receive a bracelet with Remy’s name on it. We are and always will remain grateful for your support! Details will be posted on the blog by tomorrow evening. If you’d like to be notified about the arrangements via email, please sign up as a member to Remy’s blog (in the upper right hand corner – it is very simple). I may have said in the past something to the extent of, “This is the most difficult post I have had to write.” Nothing compares to what I am currently trying to express. As I dreamed of so many times, I will never be able to use this blog as a chronicle to explain to Remy how she began, in a time her life that is fit. That opportunity was stolen from me. 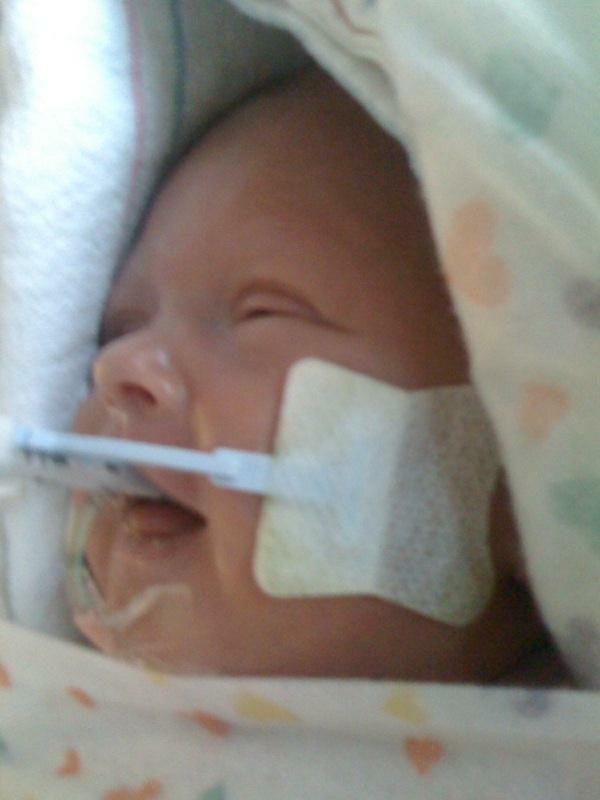 Yesterday, Sunday, May 29th, 2011 at 8:30am, the soul of Remy Elena Zappulla born February 23rd, 2011, left this earth. She was in our arms, with no machines or IV’s running though her veins. She is the love of our lives, the greatest gift we have ever known. 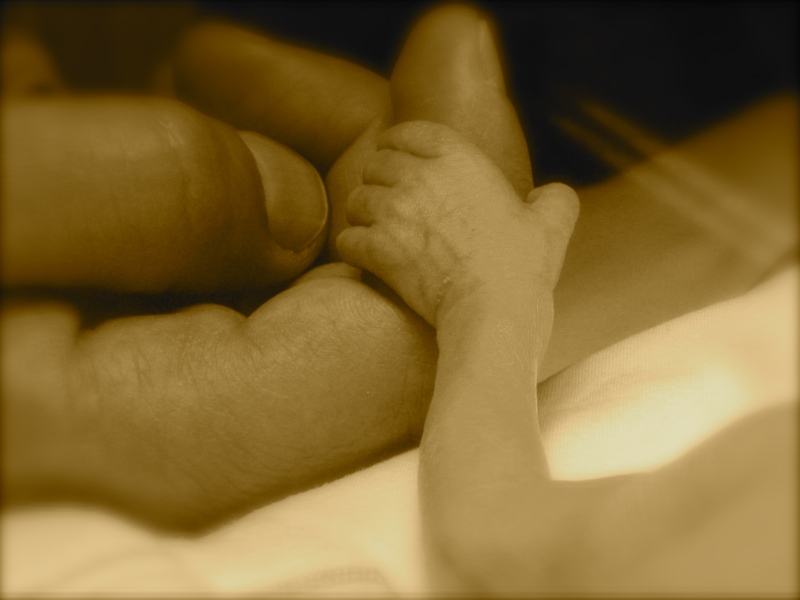 She left in peace and just before her heart stopped beating she grabbed our fingers and squeezed them very hard. Even in her weakest moment our Remy showed great strength and courage. She told us she loved us. Waterfalls are rolling down my eyes as I write this. Our last day and a half has been excruciating and indescribable. There is an emptiness that Mary and I know wholeheartedly will never be filled during our time on this earth. 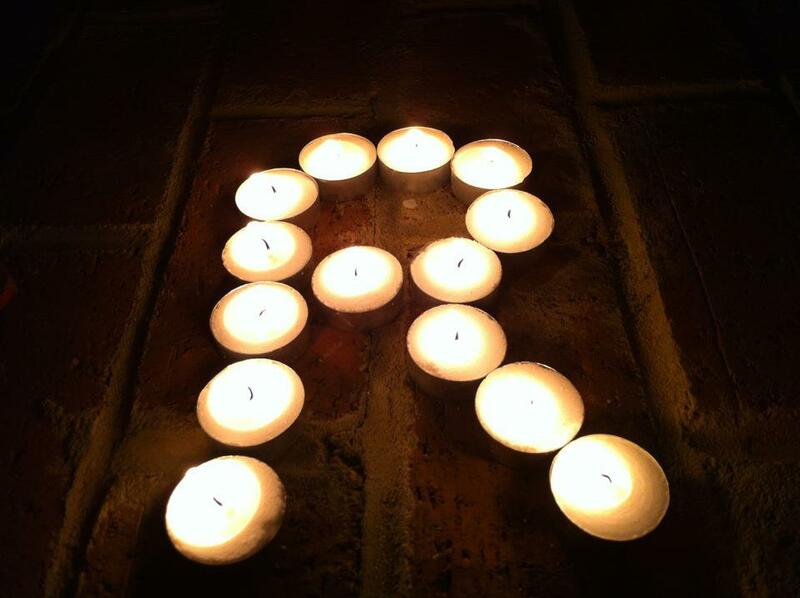 Our resentment and anger, even towards God, for the loss of our precious sweetheart Remy cannot be put into words. Our sadness is often expressed in crying sounds that do not sound human. Sometimes we cry so hard that we do not make any sounds at all. Our feeling of loss is greater than any feeling we have ever felt. A part of us, along with Remy, has died as well. It’s not metaphorical, it’s real. We built her a beautiful room, have her a wardrobe, and a lot of gifts with monogramming. We have so many reminders of the life we wanted with her and it is painful, so very painful, to be without her. At night, in bed it is excruciating! Mary and I clench onto one another trying to provide any inkling of comfort we can give to one another. After not leaving the hospital for 5 straight days, hoping for a miracle, but knowing this awful moment might come and did, today’s morning experience was as horrific and as real as it gets. Today…………….this morning, as we woke, we did not get up quickly, we did not rush to get our things to go to the hospital, and we were not filled with excitement to get there and kiss Remy’s face all day. It was the brutal empty feeling of loss. The worst kind of loss in its most extreme form. Going to the hospital everyday for the entire year would have been a joy compared to what we felt this morning. We do not expect these feelings to ever disappear. There will be an empty space forever. We do not know what we are feeling at times because it is so new. Yet we treasure our 95 days with Remy more than any gift we have ever experienced in our lifetime. Our unconditional love for Remy will ALWAYS remain! Remy has brought us as husband and wife, closer than ever before. In the last 95 days, she has taught us more about our own lives than we have learned in our 30 and 38 years. She will live on forever and we will not forget her. She has affected so many people we know, and many others we have never met. She has taught, touched, and heightened the lives of not only Mary and I, but thousands of others. Remy is a legacy. We hope that anyone who reads this post, follows our story, or has connected with Remy, has gained something from her. If you see Mary or me right now you may not have the same feeling. We are broken, and at times cannot express optimism and strength. This morning we woke up with feeling of wanting to be dead. With time, we know we will be strong again. Our Remy was SO STRONG! Her heart was physically and metaphorically the strongest heart anyone could ever have. We will never forget that. We will carry on her legacy and bring good from it. She is our hero, our superstar. Remy is our LOVE and she will always live on. A service will be held in Remy’s honor later this week in Brooklyn. All are welcome. Details will be provided in my next post. If you’d like to be notified about the arrangements via email, please sign up as a member to Remy’s blog (in the upper right hand corner – it is very simple). We remain grateful to everyone who has supported us with prayer, love, donations, words, and thoughts and so on. Your actions mean the world to us and we love all of you. Please take some time to enjoy the beautiful pictures of our precious Remy below. I know that many of you have been anxious to hear of Remy’s results since Sundays post. This has been a difficult week for me to be able to update. 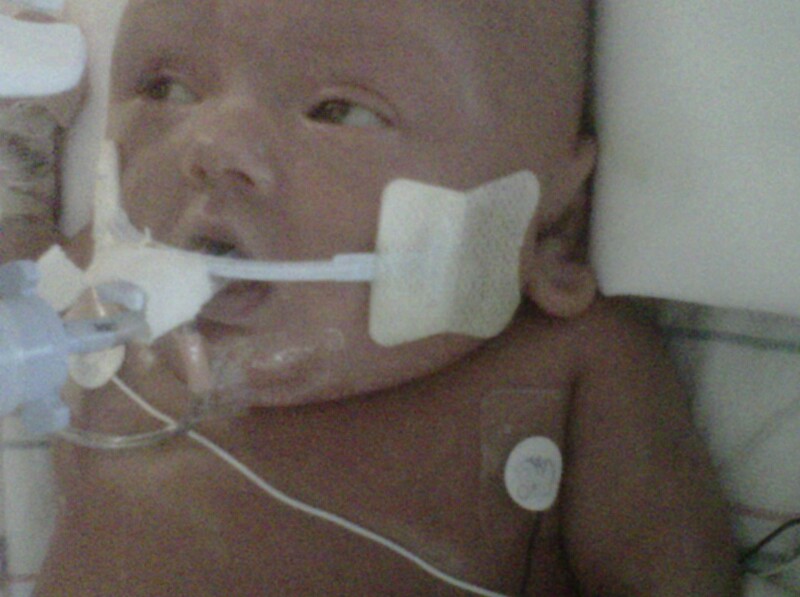 Between more long work days and spending days and nights at the hospital in between and the stress of Remy’s worsening condition it has been very difficult to even think about blogging, let alone do it. Remy has faced so much throughout her three months already. The past 10 days have been challenging and treacherous for her. She has and has had multiple organ failure. Her dysfunctional kidneys have not allowed her to pee. 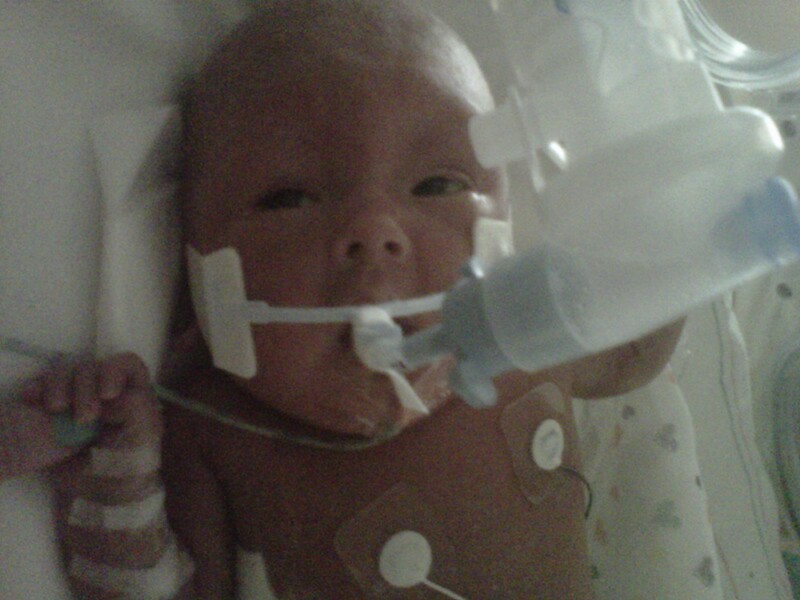 Her blood vessels still are unable to retain fluids. She has grown immensely and is filled with so much fluid that it has caused bruising and discoloration of her skin throughout her body. 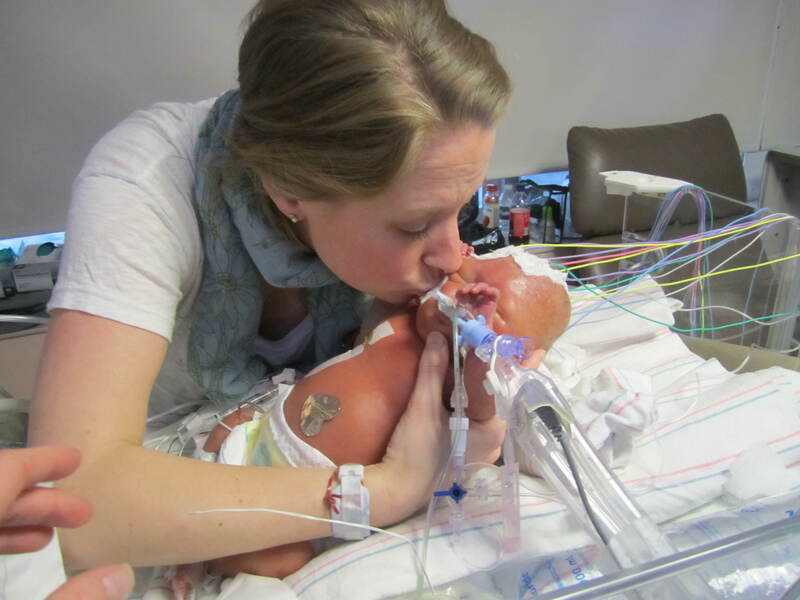 Her lungs were severely compromised. Her heart has been affected. She looks plagued and physically beaten. Blood clots all over her skin, (which has little room to expand any more) legions all over her. Her face is so swollen it appears as if she has three eyes. Metabolically and physically sicker than she has ever been before. Some doctors here have never seen a baby as puzzling and sick as Remy is. They have also never seen a baby as sick show such fight! We have lived each day not knowing if she would be with us the following day. To go through that is beyond explanation. We have been tested, broken, destroyed, dehumanized, filled with rage and anguish. 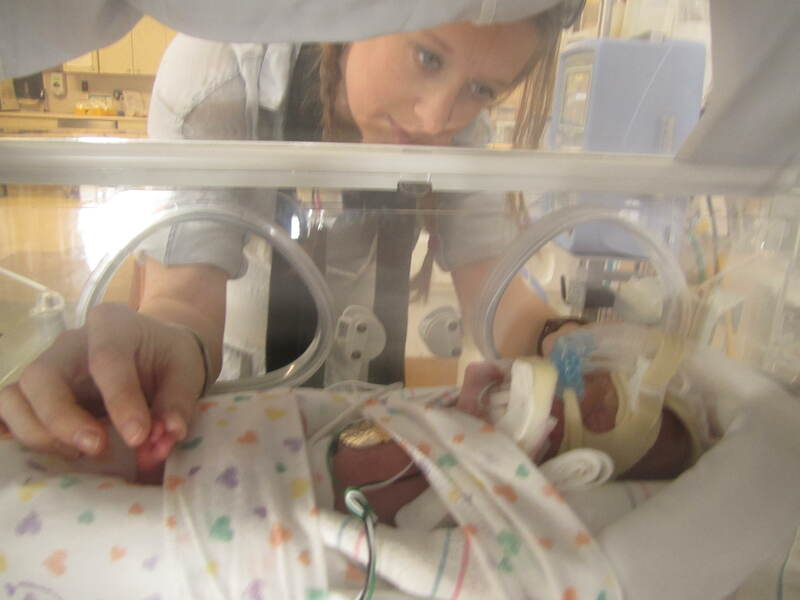 We have been counseled and cared for by so many here at the NICU. 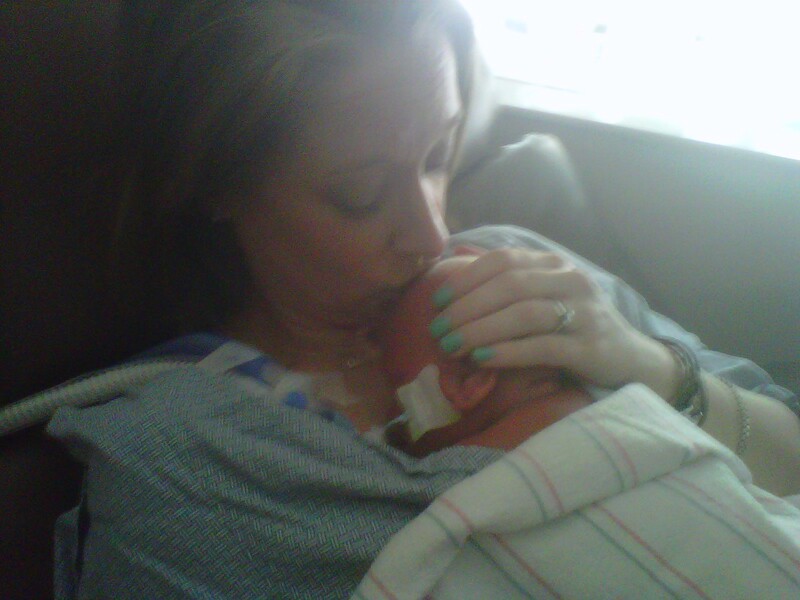 We spend as much time as humanly possible talking, touching, kissing and singing to our little miracle child! Our brilliant, mind-blowing staff here has shared our ups and downs and continues to challenge themselves. We have held several meetings each day. We work with them by the hour trying to hear Remy speak to us, and figure out what she needs. While we are no scientist or medical authorities of any sort, we have learned so much about our baby’s needs and responses. Emergency surgery this afternoon, which very likely could have ended her life, has given us a small glimmer of hope. She is too sick to move, so it had to be at her bedside. It has helped her breath better, and alleviated a stressed lung and her heart. Our Remy is by medical standards still extremely critical and the odds are very much against her ever coming home with us. We understand what we and Remy are facing each and every day we are here. For now though we continue to focus on trying to save her. She is miraculous. She is miraculous! She is miraculous! We are grateful to all of our family; blood relatives, NICU staff, friends and followers, donating blood, bringing us food, sending us love and praying for us, whatever it is you have done! I cannot promise that I will have another update anytime soon as it is growing more difficult to post. What I can promise is that Mary and I, along with her great medical staff will be here every day by Remy’s side, working hard and fighting, doing everything within our power to make Remys life story last longer than ours!